Early Childhood Matters' founder and director, Rebecca Walsh is an early childhood expert and mother of three. 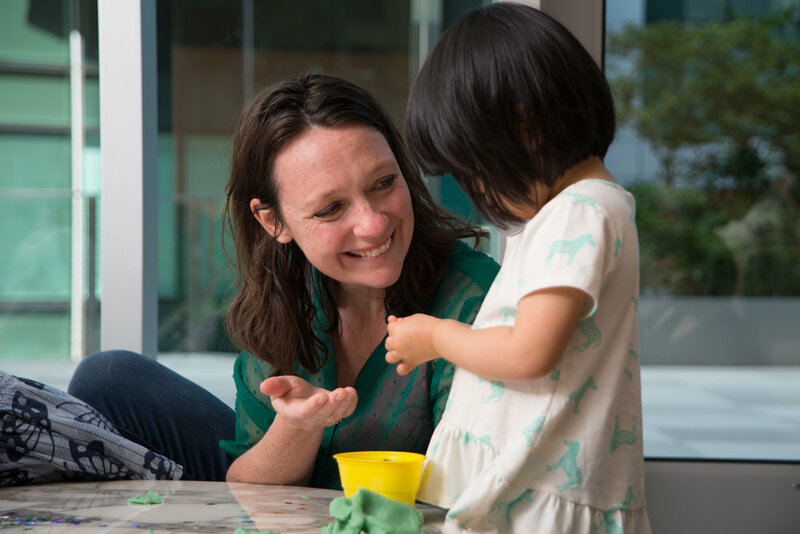 Rebecca's primary focus is helping parents to understand the developing brain of children, while providing methods to establish connection and effective positive discipline tools in the early years. Her passion is sharing with parents and caregivers the wisdom and experience she has gained from working as a director, lead teacher, supervisor, parent educator, teacher mentor, and most importantly as a parent of three young children. Jennifer Suffin, IBCLC is an Internationally Board Certified Lactation Consultant providing personalized breastfeeding support in the San Francisco Bay Area for over 10 years. She takes pride in offering clients a sense of comfort and valuable evidence-based tools to help empower them through breastfeeding challenges and so much more on the winding path of new parenthood. As a mother of two, she can offer not only a professional perspective but recognizes personally that new parenthood is an incredible time with ups and downs that should be navigated with the care and support of others. Visit www.careinthecurve.com to learn more about Jenn and her services. Mary & her husband hail from Ireland and are raising their four children in San Francisco. With four children, ages 4-13, and hundreds of babies sleep trained under her belt: there's not a question she hasn't been asked or can't find the answer to! She is the founder of Bay Area Baby Squad. and a certified Postpartum Doula (DONA). Additionally, Mary is a Sleep Specialist, certified Doula Trainer, Lactation Educator, certified EMT and Child Passenger Safety technician (CPS).